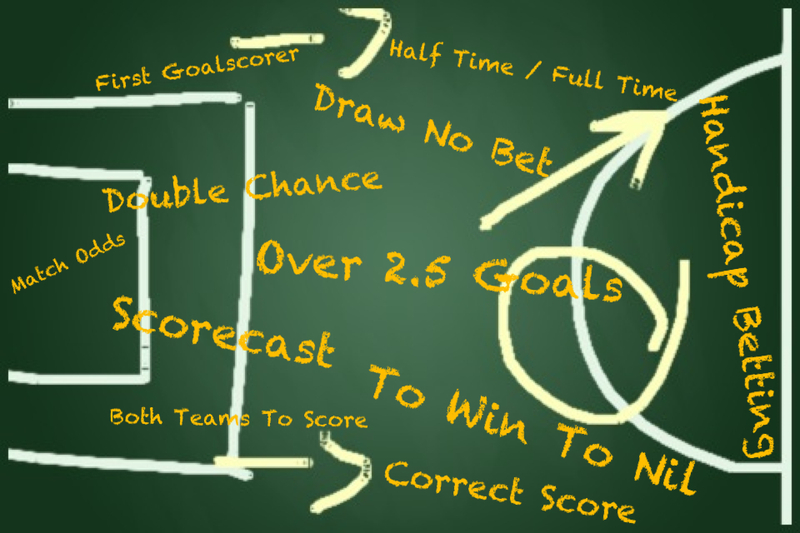 In case you want to join to the army of people engaged in football wagering, the most important thing you need to do, besides reading about betting tips and predictions, is to get to know how to read odds. What is more, you need to do it proficiently to evaluate your chances to win without making mistakes when placing value bets. Odds can be calculated in three different ways, they are fractional odds, money line, and decimal. It is easy to read them, you just need little practice. In fact, you should read odds very quickly weighing not only your chance to win but the kind of edge the bookmaker holds on that kind of bets as well. Fractional odds (known as British odds) are favoured in United Kingdom and Ireland, fractional odds adduce the net total the punter will win, relatively to his wager. Let’s suppose you want to bet on a game which has odds of 4/1. These odds say that your winning and losing chances are 20% and 80% respectively. If you win, you will get £4 for each £1 you stake and you will get your primary stake of £1 as well. The total return is £5. In case you stake £100 at 4/1, you are going to win £400 and get your £100 stake back, this will give a total return of £500. The odds show how much you get in terms of winning per money you bet. Decimal odds are preferred in Australia, and Europe, Canada. With this kind of odds the bettor should part with his stake in order to make a bet, the figure shown is the amount of money the punter will receive. The 4/1 fractional odds are quoted as 5, while the ¼ odds are quoted as 1.25. The decimal odds of an outcome are equivalent to the decimal value of the fractional odds plus one. European odds multiplied by your stake equals the payout. The odds show the number of units the bookmaker pays per unit betted. Money line. If you want to make a bet on US Sports you should learn how to read American odds. These odds are also known as money line odds or just lines. Figures are displayed with sign “+” or “-“. Odds with “+” show the amount of money you will get for a $100 stake. Odds with the sign “-“ show how much you need to wager to win $100. Let’s suppose that you wager on the event which has decimal odds of 5 (fractional odds of 4/1), the line would be +400. Money line refers to odds on the straight-up outcome of an event with no consideration to a point spread. Odds this is a probability of a game calculated by the bookmaker and he accepts bets against these odds. The odds are dynamic and can change as the bets are being placed. Stake is the amount of money that you are betting. Odds against this is the term used for a wager where you receive a return that exceeds your bet. The profit of this wager will be more than your stake. Even Money – Also known as EVS, this is when the return will be double your stake. The profit on your bet will be the same as the amount you staked. Both you and the bookmaker run the risk of losing the same sum.